Our Lavender Hybrid Goodwin Creek Liners are well-rooted starter plants that come ready to transplant into your final container. The herb known as Lavandula Hybrid Goodwin Creek is widely used for its aroma, flavor, and visual appeal in both culinary and ornamental applications. Grow it as a container product or in 4 inch pots for landscape use. For best results with Lavender Hybrid Goodwin Creek, use a constant feed program of 150-200 ppm N on well rooted plants. A pH between 5.8 and 6.2 is important for the healthiest plant color. In most cases, an additional supplement of iron is recommended in order to deepen the coloration of the foliage. Lavender will flower naturally as the summer starts to heat up and the ground dries out from the spring rains. In our area we see lavender reach it's peak bloom period in late June or early July. We recommend that you pinch Lavender Hybrid Goodwin Creek 5-10 days after transplanting to your final container. 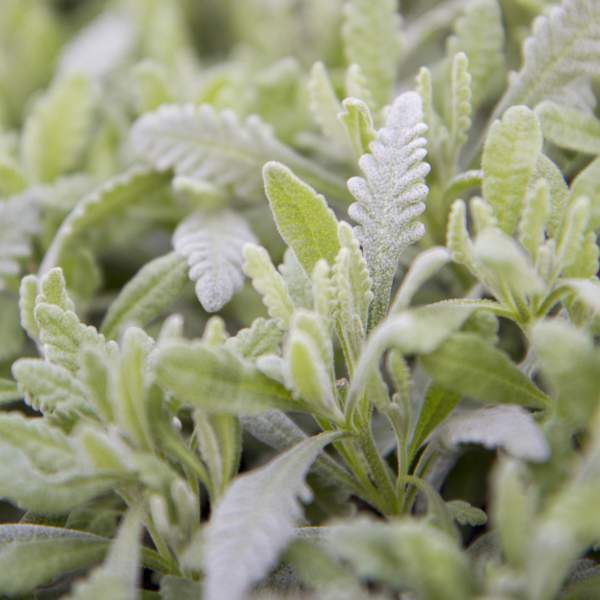 Growing herbs at cooler temperatures will help to keep the plants short and bushy. Space 4-inch, 6-inch, and gallon pots as needed to allow air flow and penetration of light between plants. Lavandula Hybrid Goodwin Creek can grow to a 24" spread. We do not recommend planting Lavender Hybrid Goodwin Creek in 1801 or other traditional market trays as they tend to get leggy and have the potential for fungus problems when planted too close together. Whiteflies, aphids, and occasionally mealybugs are all insects to watch out for with Lavender Hybrid Goodwin Creek. Lavender Hybrid Goodwin Creek is not prone to many diseases, but don't oversaturate the soil. If the plant sits in moist soil for an extended amount of time, you could end up with root rot, botrytis or a bacterial blight. Botrytis grey rot is usually associated with wet or humid conditions. You can prevent botrytis by allowing the plant to dry out between waterings, allowing for good airflow in your greenhouse, and spacing to allow the sun to penetrate to the soil level. To best fight root rot in herbs, look for an organic or garden-safe fungicide, like Neem Oil.